Now a days, knee pain is the most common joint problem seen in most of the world’s population. It may be temporary due to physical exertion or strain, due to injury like tearing of cartilage or ligament or other chronic conditions like osteoarthritis, gout, septic arthritis, rheumatoid arthritis, bursitis or infection. 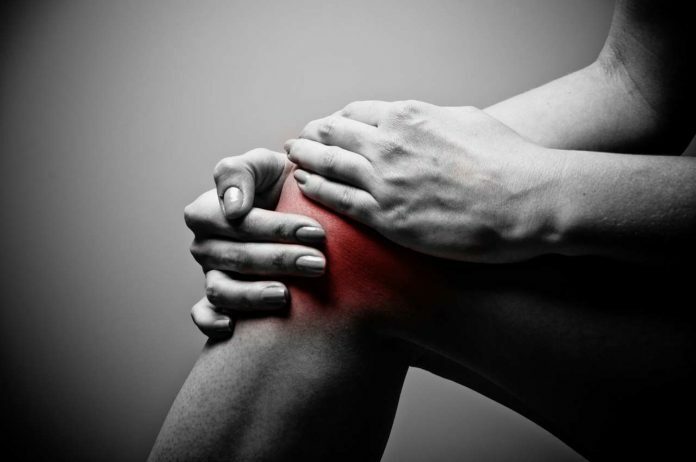 Knee pain can occur due to arthritis, osteoarthritis, inflammation of the cartilage and bone, wearing of the patella or the injury of the anterior cruciate ligament. The treatment of knee pain varies according to the root cause. Inability to bend the body weight. Unable to do various movements like stretching, bending etc. What are the causes of Knee Pain According to Ayurveda? According to Ayurveda, aggravated Vata dosha is responsible for body pains. Arthritis is caused by the acclimated Ama (toxic by product generated due to poor digestion) and also due to the aggravation of Vata dosha in the body. Ama spreads throughout the body and or gets integrated into the body. When Ama deposits in and around the joints due to the aggravation of Vata dosha, it results in pain and this condition is known as Ama vata in Ayurveda. There are various herbs gifted to us by Mother Nature for various ailments that help us to get rid of the diseases naturally without causing any side effects. Ayurveda recommends easily digestible foods for relieving knee pain that do not aggravate Vata dosha in the body. Sesame Seeds: Soak handful of sesame seeds overnight. Chew these seeds and drink water early in the morning on an empty stomach. This remedy will help in reducing the frequency of joint pains. Soups: Hot soups prepared from lentils, pulses should be taken with ginger powder, black pepper and long pepper. Desi Ghee (Clarified Butter): Ghee in moderate amount must be a part of daily diet. It helps in providing lubrication to the body as well as helps in removing Ama from the body. It also keeps the normal joints properly lubricated and also provides lubrication to the dired up joints. For External application: Roast and crush a handful of fenugreek seeds. Take 2 tablespoon of this powder and add lukewarm water to make a thick paste. Apply this paste on the affected area and remove the paste after drying. If the patient is not suffering from gouty arthritis or rheumatoid arthritis, then fry 2 cloves of garlic in 2 tablespoons of sesame or mustard oil until they turn black, remove the contents from heat and strain the oil. After cooling the oil, massage it into the affected area. Leave it on for about 2 hours before washing. Do this remedy twice a day for better results. Fenugreek Seeds: Roast and crush a handful of fenugreek seeds to make its powder. Take 2 tablespoons of this powder with lukewarm water to make a thick paste. Apply this paste on the affected area and remove it after drying. Ashwagandha (Withaniasomnifera): Ayurveda recommends the use of Ashwagandha herb for relieving knee pain. This herb is commonly known as winter cherry in the west. It can be taken in powder form daily once or twice, 1 tsp. in milk/water. Garlic (Allium sativum): Garlic is considered as an effective remedy for the treatment of knee pain. Take 3-4 cloves of garlic every morning to seek relief. Ginger (Zingiberofficinale): Ginger must be included in the diet of every individual. It has the property of reducing inflammation and thus relieving joint pain. Ginger tea is also beneficial. Dandelion (Taraxacumofficinale): Dandelion is a rich source of magnesium. Magnesium is considered as an essential element responsible for bone mineralisation. Use of dandelion in daily diet can help in making the bones stronger and also protects them from pain. There are various blood tests and other tests such as X-ray, CT-scan or MRI that confirm the cause and type of knee joint disease. Keep yourself active: Improving the joint mobility and flexibility is one of the most beneficial ways to manage knee pain. Simple activities improve joint strength as well as manage pain. Walking and easy exercise help in reducing pain as well as help in maintaining healthy weight. Manage extra weight: Excess weight puts additional stress to weight-bearing joints such as feet, hips and back. Losing weight help in reducing pain and limit further joint damage. Stretching: Slow and gentle stretching help in improving flexibility. It will also reduce stiffness and there is a relief from pain as well. Include ginger in your diet because ginger has the property to reduce inflammation. Moreover, ginger helps in curing the aches in the knees and is also useful in stomach disorders. Avoid eating hot, spicy, fermented, canned food products. Avoid vegetables such as cauliflower, potatoes, spinach as these vegetables aggravate Vata dosha in the body. Avoid excessive intake of tea, coffee, white sugar, alcohol, yogurt, chocolates. Avoid staying late in the night, sleeping during daytime and mental tensions such as fear, stress, anxiety, worry etc.